Noctua released today their most advanced fan yet – the Noctua NF-A12x25 120mm high performance premium fan. 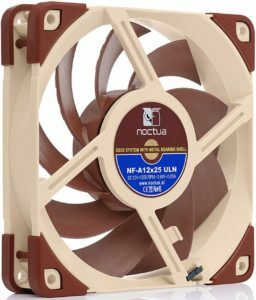 The Noctua NF-A12x25 is a highly optimized next-generation 120mm fan that integrates the company’s latest innovations in aerodynamic engineering in order to achieve an unprecedented level of quiet cooling performance. This fan is built with several features like: Advanced Acoustic Optimization, Flow Acceleration Channels, Sterrox Liquid-Crystal Polymer and many more. 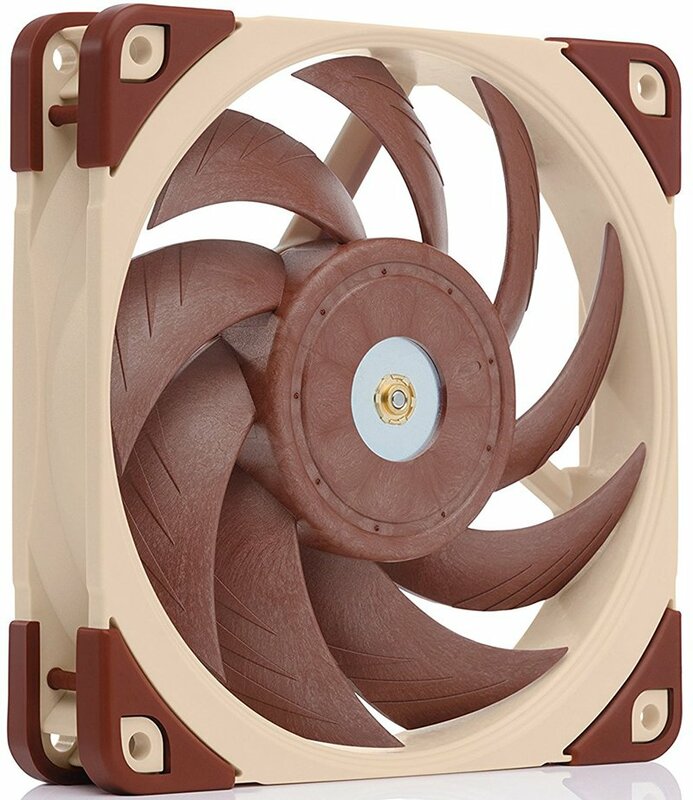 This isn’t your typical brown fan as it’s definitely better and superior to its predecessors. I wish Noctua also made a black version of this fan, unfortunately it’s only available in Noctua’s signature color (for now). The company is so confident with this new fan that they are offering a 6 year warranty. Aside from the NF-A12x25, they also announced the new NF-P12 Redux fan and a 120mm to 140mm radiator adapter. Check out more details about these new fans below. 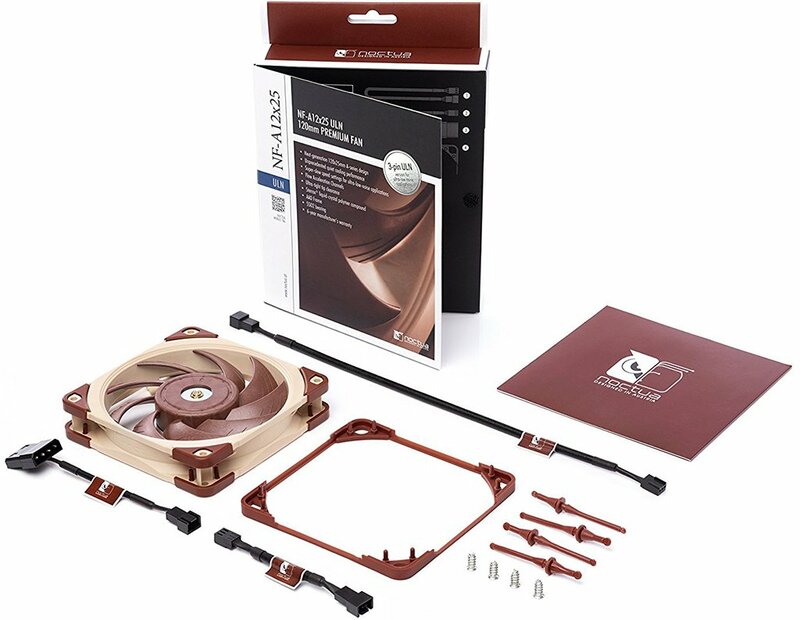 Noctua today presented its much-anticipated next-generation 120x25mm A-series fan and the complementary NA-SFMA1 adaptors that allow it to be used on 140mm based watercoolers. The new NF-A12x25 is the first fan made of Noctua’s novel Sterrox® LCP material and integrates the company’s latest innovations in aerodynamic engineering in order to achieve an unprecedented level of quiet cooling performance. While the NF-A12x25 becomes the new flagship model in the 120mm range, the classic NF-P12 will be reissued in the streamlined, more affordable redux line. 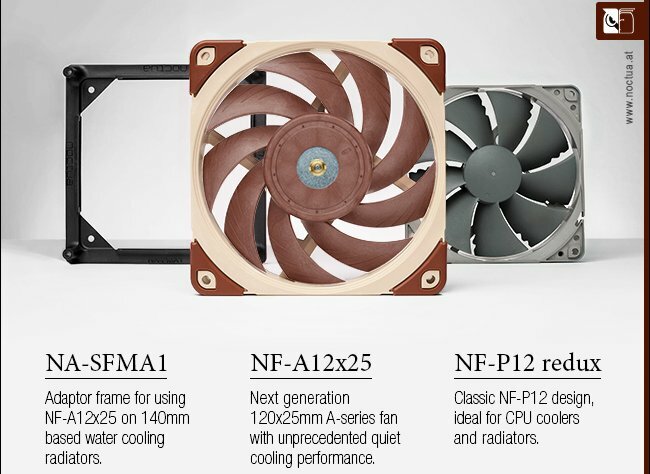 Whereas the award-winning NF-F12 and NF-S12A are specialised solutions that are either optimized for maximum static pressure or maximum airflow, the new NF-A12x25 follows the approach of Noctua’s A-series in being a true all-rounder that yields superb results in all types of usage, regardless of whether it’s in low-impedance, airflow-oriented applications such as case cooling, or high-impedance, pressure-demanding scenarios such as on heatsinks and watercooling radiators. In practice, the NF-A12x25 not only outperforms the renowned NF-F12 on 120mm based watercooling radiators, but combined with the new, optional NA-SFMA1 adaptor frames, it also offers better efficiency than many 140mm fans on 140mm based systems. One of the cornerstones of the NF-A12x25’s next-generation performance is its record tight tip clearance (distance between the blade tips and the inside of the frame) of only 0.5mm. This highly ambitious design helps the NF-A12x25 to work more efficiently against back pressure, such as on heatsinks or radiators, by reducing leak flows through the gap between impeller and frame. 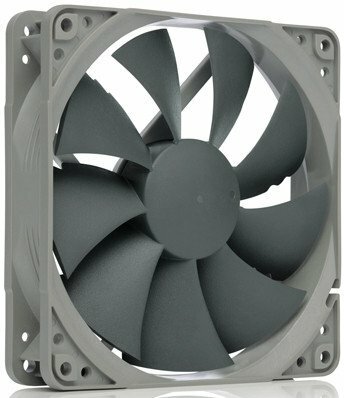 Manufacturing a fan with such a small tip clearance is extremely delicate and was only made possible by Noctua’s new Sterrox® liquid-crystal polymer (LCP) material, which features extreme tensile strength, an exceptionally low thermal expansion coefficient and excellent dimensional stability. The NF-A12x25 will be available in a 4-pin PWM version for automatic speed control, 3-pin FLX version with Low-Noise Adaptors for three different speed settings as well as a near-silent 3-pin ULN (Ultra-Low-Noise) version. As the NF-A12x25 becomes the new flagship model in Noctua’s 120mm range, the classic NF-P12 moves to the streamlined, more affordable redux line. 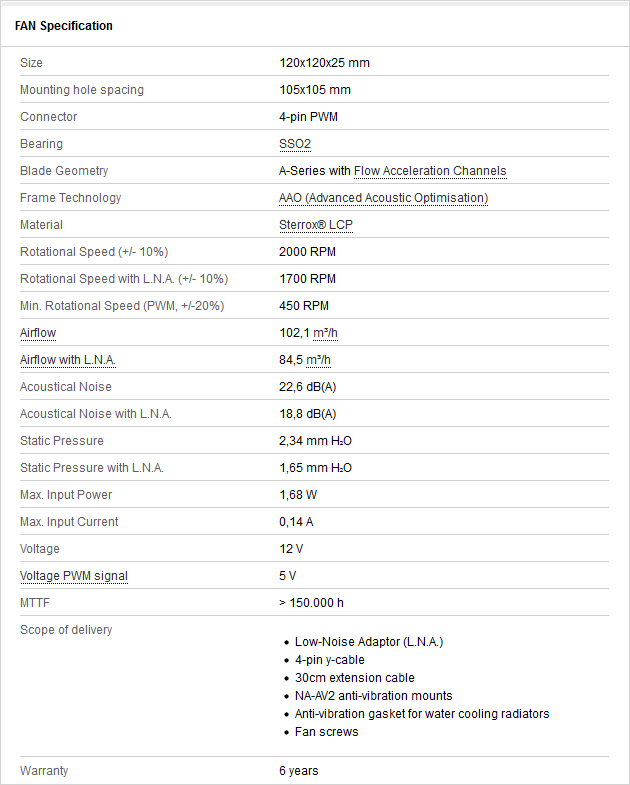 It will henceforth be available in 1700 and 1300rpm 4-pin PWM versions as well as 1300 and 900rpm 3-pin versions.